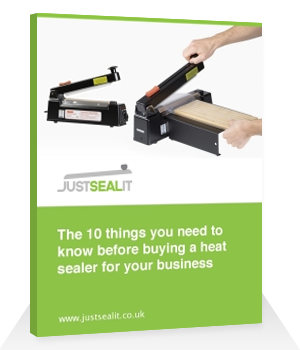 JUSTSEALIT have heat sealer machines to seal almost all heat sealable materials, including polythene, polypropylene, PVC and foils. 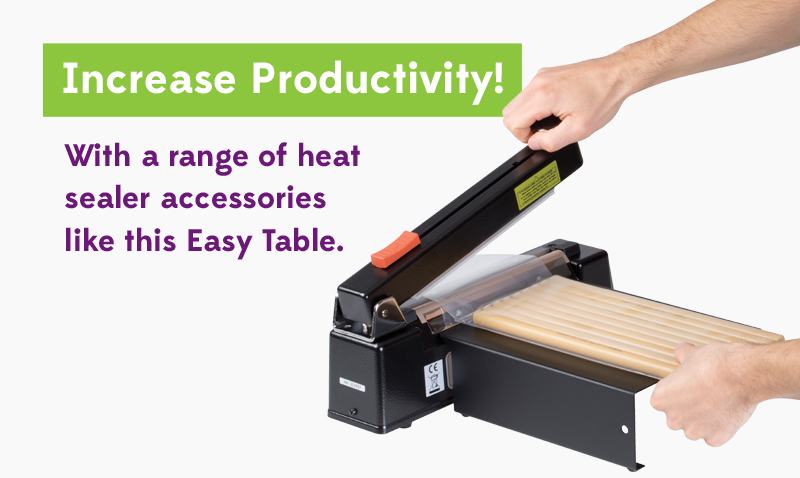 These heat sealing machines have many uses and applications for wholesalers, distributors, factories, retailers, offices, caterers, laboratories and in the home. If you already have individual bags and just want to heat seal the bag then choose a bag sealing machine but if you want to trim the bag after sealing or produce custom size bags from layflat tubing then select a bag making machine. If you are unsure which heat sealer machine to select or your film specification then why not post us a sample of the material for us to seal test and return to you. All heat sealing machines are to CE standard and covered with a 12 months warranty against faulty manufacture (excludes consumable parts).